Greetings and welcome to STAG Korea. STAG Korea offers extensive professional services related to project funding and business management. Our over 40 years’ experience in banking, conventional finance and investment equity within the leading capital markets brings business experience and resources for project funding capability for major projects. We value every project owner and investor and we aim to provide best market terms possible and option variations suitable for each client, where you would not find from conventional channels. By associating with our headquarters in London, we aim to provide project funding options beyond the conventional channels from leading trans-national asset managers. Our team consists of qualified and competent project managers and analysts. We specialize in the funding of major construction projects, energy projects and other commercial and infrastructure projects our clients seek to realise. 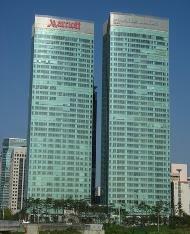 If you are considering investment in a particular market, you may wish to consult STAG-Korea. We promise to be your best investment and financial partner. PERFORMANCE: Our London associated company, Global Project Capital Ltd (UK) has provided business consultancy services in the following countries: UK, Germany, France, Bulgaria, Romania, Latvia, Russia, Turkey, Azerbaijan, Kazakhstan, and Georgia. Details of specific realised projects remain under strict Non-Disclosure and Confidentiality agreements for financial and banking reasons, which we respect for all clients. Chief Executive Officer: Min-Gyun, Kim.